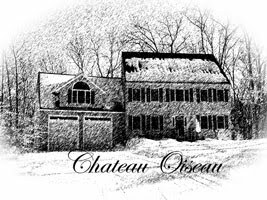 Chateau Oiseau: What is Real Winemaking? This simple question can be answered in many ways from a philosophical answer to a technical one. But the issue I'm talking about is one that comes up all the time in home winemaker circles: What constitutes making your own wine? Is making wine from a kit really winemaking? Do you have to grow your own grapes to be considered a real winemaker? And of course the answers are all over the map. Analogies are drawn between cooking and winemaking. Comparisons are made between professional winemaking and amateurs. The most common argument I like to make is a cooking analogy. You should know that I make a mean Mac & Cheese! My kids love it, they think it's the greatest food ever! It's Kraft Mac & Cheese. Anyone can make it. It's a kit in a box. You follow the directions and, in under ten minutes, you have a meal kids love. Does this make me a good cook? My kids prefer this Mac & Cheese to the homemade one that their grandmother makes. If we entered our Mac & Cheeses in a competition and I won, would that be fair? Would I really be an award-winning Mac & Cheese maker? I personally have no problem with anyone who wants to make wine from a kit, but it's not true winemaking, just like making Kraft Mac & Cheese is not really cooking. I personally do not feel that wines made from kits should be judged up against wines made from fruit in wine competitions. They are different classes of winemaking. I'm not saying that a kit can't be as good or better in many cases than a wine made from fresh grapes, or vice versa. They are just different entities. We often have a classic "French chateau" idealistic view of the wine industry--where the grapes are grown on the estate and the wine is made in the cellar. But here in America, let's face it, that's not as common. Some people specialize in growing grapes and some specialize in making wine. Sometimes specialization is better. But that means that many of the popular brands we like are made by professional winemakers who didn't grow their own grapes. They contracted with a nearby vineyard for grapes. They may have been involved in the decisions made throughout the development of the vineyard such as which clones were planted, which rootstocks were grafted, how the grapes would be trellised and cropped. They most likely had a say in when the grapes were harvested and how. But the fact is they were grown by someone else. Still, we can probably agree that these wines were made "from scratch." As home winemakers though, is it the same for us? I live in Massachusetts. Until I was growing my own grapes, I bought them from a distributor in Connecticut that bought them from a wholesaler in California or Chile. They were brought in from California or Chile on a big truck or ship. By the time I got them, they were between 2 and 5 weeks old. They were refrigerated, heavily sulfated, and usually not in very good shape. They were most often over or under-ripe. I always got the feeling that the home winemaker market is a dumping ground for crappy grapes that no commercial winemaking operation would take. Maybe I'm wrong. Anyway, I'm not sure that buying grapes from the back of a truck, 3,000 miles from where they were grown is a great idea. To me, this is analogous to stopping down at the grocery store for some flour and sugar to make cookies. You are making wine from scratch, but the ingredients are not fresh and local. So I guess to me a "real winemaker" makes wine from local grapes. I don't care if you grow the grapes yourself or buy them from a nearby vineyard. Just as many people tend to agree that local produce is best for your health and the environment, local wine is the most natural expression of true winemaking.